I suppose it’s one of those battles that will never die. Anytime a theological topic hits the headlines, you can be sure: It’s not the first time Christians have entered this verbal war. Nor will it be the last. It’s a reality of this fallen world, I suppose, but a sad one for sure . . . that self-professing Christians, who supposedly start with the same Absolute Truth, end up in varying places, and some of them downright contradictory. I recently studied Romans. There, I found 3 Surprising Law-and-Grace Absolutes. Surprising, because it seems many Christians come to different conclusions than these. 1. We are released from the law. That one makes the ‘grace people’ happy. 2. We are not under the law. And, once again, it sounds like grace has taken over and we are not bound to the law. 3. We uphold the law. While I’m at it, allow me to point out a few further “law positives.” Then you can clobber Paul all you want. He can take it. Time out. We are not under the law, but we should not sin. In order to know how to avoid sin, we have to abide by the law, because the law shows us what is sin and what is not. Time in. Yes, there are many other things said about the law and grace. Yes, you need to understand them all in context. Yes, the big picture is important. That being said, here’s my suggestion. 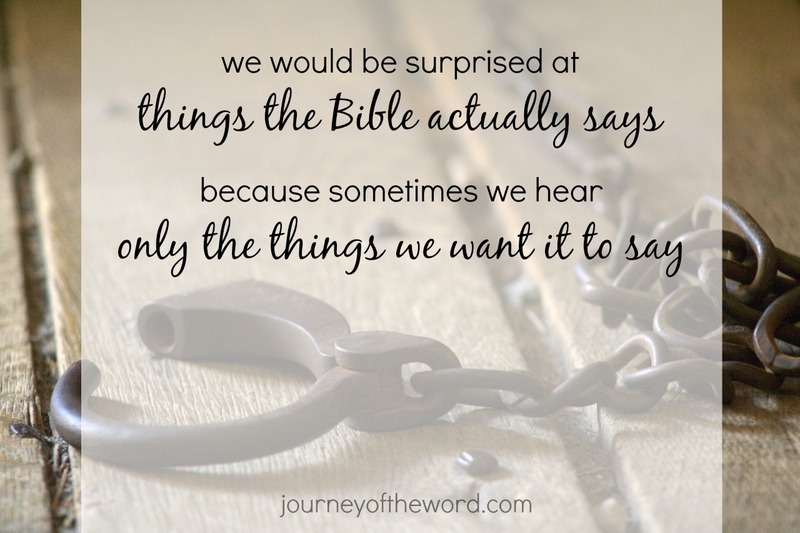 Read the Bible, and say only what it says. Don’t try to come up with some conclusions that aren’t there. Don’t try to prove one side or the other. Just say what it says. I just got you started. You take it from here. Voilà. No more law-grace debate. The way I’ve understood it is that while we are not under the Old Testament Law anymore, we are under what might be called the “New Testament Law” which if I remember right includes the ten commandments minus the fourth.